Glendalough is one of the gems of the country’s Ancient East. 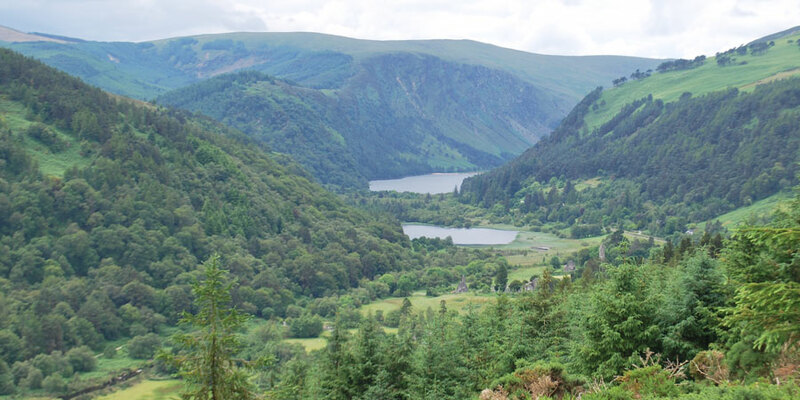 If you are hiking the Wicklow Way, you’ll get amazing panoramic views of the ‘valley of the two lakes’. 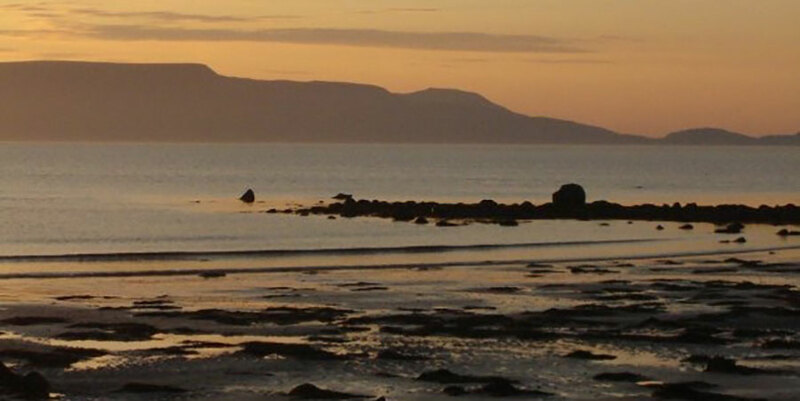 It is Ireland’s holiest mountain and the views from the top are simply breathtaking: after climbing Croagh Patrick, your efforts will be rewarded with spectacular views of Clew Bay and its 365 islands. 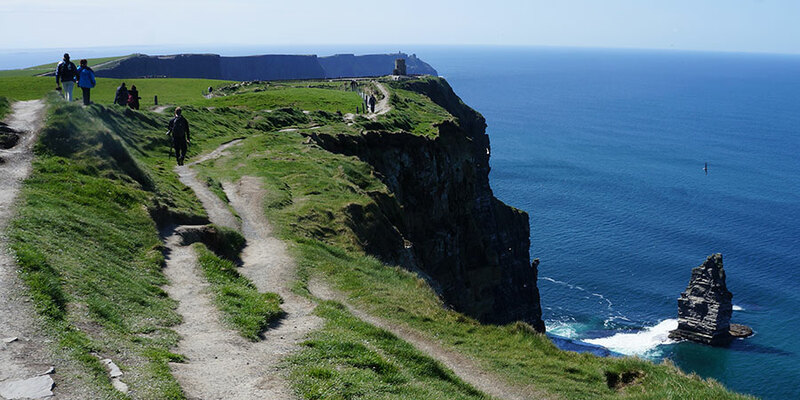 They are the most iconic landmark in the whole country and did you know you can actually walk to the cliffs from Lahinch and continue on to Doolin on the Burren Way? The best way to experience this majestic gift from nature. 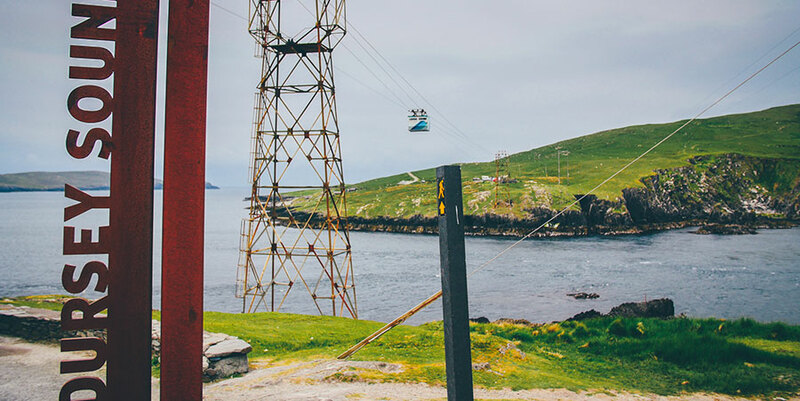 It is Ireland’s only cable car, joining Dursey Island in County Cork with the mainland, and the country’s most unusual transport. If you are not scared of heights or the fact that you are crossing over turbulent tidal waters… it is an exhilarating experience, go for it! You will find it at the very edge of the Beara Peninsula. The Great Western Greenway is the country’s first greenway, a fantastic traffic-free trail for cyclists of all levels and ages. Amazing scenery will keep you company all the way from Westport to Achill Island. 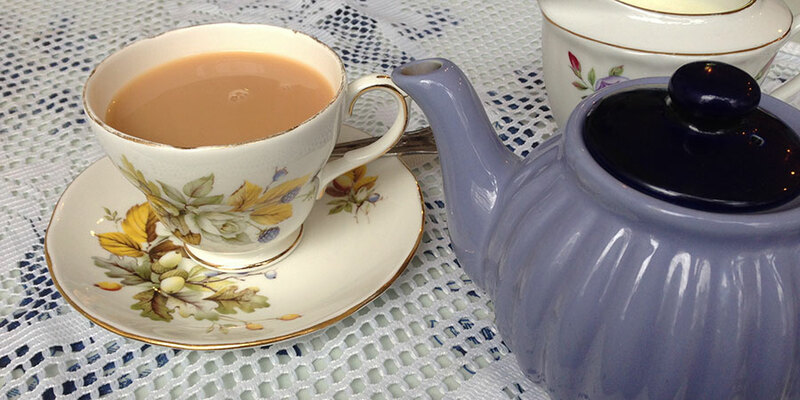 Instant comfort after a day’s walk… try the tiny Dying Cow on the Wicklow Way, the famous McCarthy’s Pub in Castletown Beara or any of the traditional pubs and cafes you will find on the Beara Peninsula. Dublin is a great little city that can be easily explored on foot. 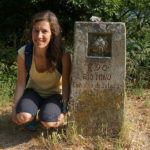 In fact, this is the best way to get to know it and be part of its friendly atmosphere and lively pace. 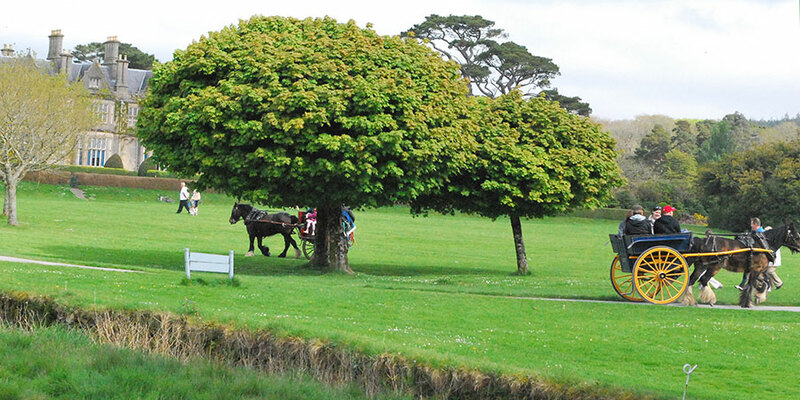 Killarney is one of the country’s classic holiday resorts, a trendy destination since in Victorian times. Killarney’s National Park still remains one of Ireland’s most popular must-see places for visitors and it is one of the highlights of the superb Kerry Way hiking trail. Out of the fish van in Dingle or in a foodie pub like Nancy’s in Ardara, County Donegal… trying fish and chips at least once during your trip is a must! 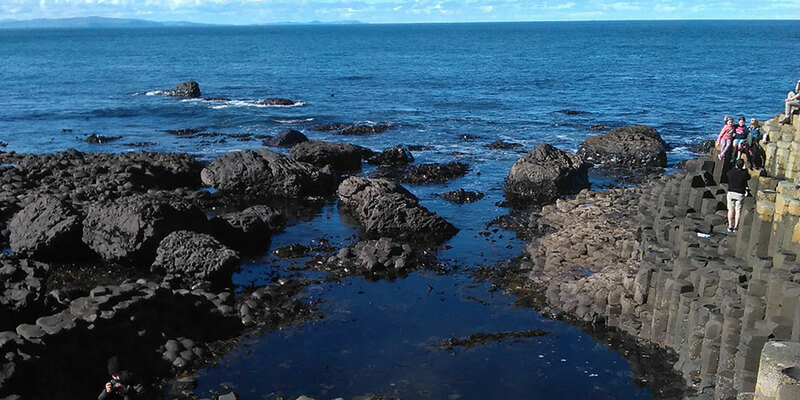 Geologists might have a different version of events, but according to legend the hundreds of basalt columns that form the Giant’s Causeway were built by giant Fionn McCul as he was challenged to a battle by his Scottish nemesis. Whatever you chose to believe, it is definitely worth seeing! Connemara is one of the wildest and most beautiful parts of Ireland; this will be an unforgettable cycle taking in spectacular sights along the Wild Atlantic Way. What better way to finish off the day?